I have been curious for some time, about several mysterious landmarks in the Thames Estuary, that feature on my Southern England aeronautical chart. It turns out they are a network of former World War Two, Army and Navy sea forts. I called upon local expert, Steve Groves from Project Redsand, to fill me in on the history of the forts, and invited him to come on a short flight to explore them. 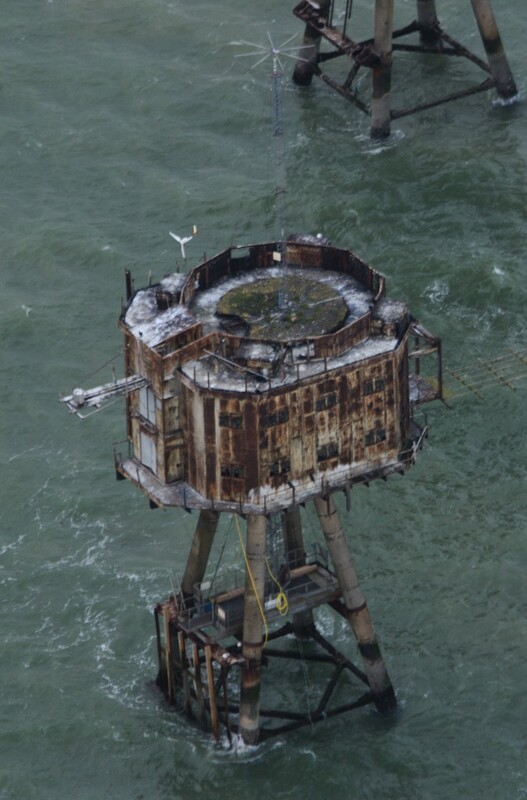 The Maunsell forts lie between 8-12 nautical miles off the north Kent coastline, and defended London from German mines and bombers in the 1940s. Steve and I flew out, to view them from the air. The flight took place after the first snowfall in the London area of 2016. As the aircraft is parked at Biggin Hill which is 600ft above sea level, 2 inches of snow had accumulated on the wings. It was easy to brush off, however, and before long we were cruising out over the Isle of Sheppey towards the first of the forts, Red Sand. Shivering Sand followed, then Knock John navy fort, and our tour ended with a fly-by of the remains of the Tongue Sand fort. If you have any ideas for future flying trips/videos, please contact me. For more information about the project to restore one of the forts visit the Project Redsand website. Please feel free to comment on the video, and let me know if you have any good ideas for aerial storytelling. 4 Comments on "Video: WW2 forts tour"
Another very good film. Keep them coming. Toby. Please can you contact me again through the contact form. Your email address is not working when I reply. The paddle steamer Waverley is traveling to Red Sand and Shivering Sands at the end of September. I’ve already booked my passage from Southend. Check out the Waverley website for details. She’s sailing up from London.